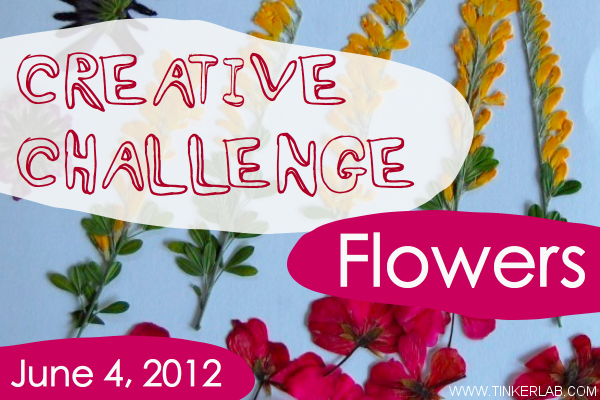 We are delighted to host Tinkerlab's Flower Challenge this month: Every two months Rachelle over at Tinkerlab announces an art medium and challenges everyone to come up with their own art.This time the material is flowers. We are participating with our Land Art from last spring. Defne loves it so much that every now and then picks flowers and leaves from the garden and creates another land art arranging them on a tray. We would love for you to come and join us with your art projects using flowers. Thank you for visiting my blog! If you enjoyed reading my post today, I would love for you to connect with me on Facebook, Twitter and Google+ as well.